Do so much more with one vehicle. 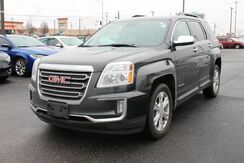 This GMC Terrain gives you everything you need an automobile to be. You don't have to sacrifice style or comfort with this fuel-efficient GMC Terrain. The Terrain SLE has been lightly driven and there is little to no wear and tear on this vehicle. The care taken on this gently used vehicle is reflective of the 16,769mi put on this GMC. 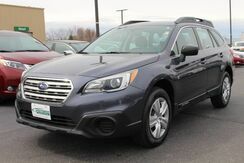 The Subaru Outback 2.5i offers a fair amount of utility thanks to its advanced features and unique styling. Save money at the pump with this fuel-sipping Subaru Outback. This model sets itself apart with good ground clearance, spacious interior, fuel efficient transmissions, standard all-wheel drive, and versatility. 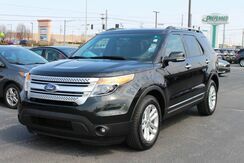 This 2015 Ford Explorer XLT is offered to you for sale by Preferred Auto Illinois Road. The Ford Explorer is the benchmark all other SUVs strive to meet. With exceptional power, towing and handling, this SUV can handle anything thrown at it. Strengths of this model include quiet interior, good value, excellent ride quality, world-class safety features, and EcoBoost engine provides good mileage. Preferred Auto Illinois Road has a wide selection of exceptional pre-owned vehicles to choose from, including this 2016 Ford Escape. Treat yourself to an SUV that surrounds you with all the comfort and conveniences of a luxury sedan. 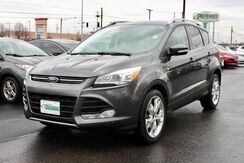 In addition to being well-cared for, this Ford Escape has very low mileage making it a rare find. The 2016 Ford Escape is a sleek, rakish, modern design, yet it is surprisingly roomy inside. Also surprising is how well the Escape responds and handles -- as if it were a sport wagon. The Escape's powertrains are standouts in this class, both offering more power than you get elsewhere, plus excellent fuel economy. In terms of tech features, between the new "Sync 3" infotainment system, the Escape stands far apart from more plainly presented crossover wagons. Interesting features of this model are spacious interior, Stronger performance and better handling than other small affordable crossovers, excellent fuel economy, impressive maneuverability, and excellent new "Sync 3" infotainment and connectivity. 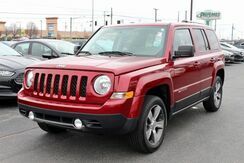 AUTOCHECK REPORTS ZERO ACCIDENTS, 1 OWNER -- HEATED LEATHER SEATS, BLUETOOTH, NAVIGATION, BACKUP CAMERA W/BIRD'S EYE CURB ASSIST, KEYLESS START, POWER REAR LIFT GATE, MORE! Treat yourself to an SUV that surrounds you with all the comfort and conveniences of a luxury sedan. The greater your fuel-efficiency, the less your carbon footprint. Enjoy driving? Well, now you will get more thrills behind the wheel thanks to the heightened performance of AWD. Better handling. Better traction. Better driving experience. The Nissan Rogue is a small SUV/crossover, offering a more car-like driving experience than the more hard-core Nissan Xterra. This puts the Rogue in direct competition with vehicles such as the Toyota RAV4 and the Honda CR-V, two vehicles with several generations and years of success under their belts. In order to remain competitive, Nissan has equipped the Rogue with a bevy of features. Preferred Auto Illinois Road is honored to present this 2015 Kia Sedona LX with only 28,292mi on it! 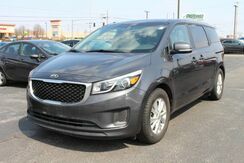 The Kia Sedona minivan faces tough competition in a narrow segment from Toyota, Honda, Nissan and Chrysler, but it more than holds its own. With premium materials, innovative seating with room for seven, and an attractive price, this Sedona is worth a look. This model sets itself apart with a V6, quality interior materials, and attractive styling. Thank you for visiting another one of Preferred Auto Illinois Road's online listings! 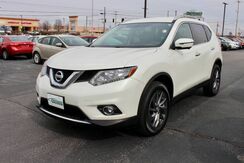 Please continue for more information on this 2016 Nissan Rogue SL with 42,843mi. This Nissan Rogue is equipped with AWD for improved handling. Whether you're faced with inclement weather or just out enjoying the twisting back road, you'll have the grip of AWD on your side. It's not a misprint. And the odometer isn't broken. This is a very low mileage Nissan Rogue. 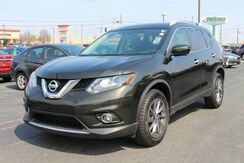 The Nissan Rogue is a small SUV/crossover, offering a more car-like driving experience than the more hard-core Nissan Xterra. This puts the Rogue in direct competition with vehicles such as the Toyota RAV4 and the Honda CR-V. 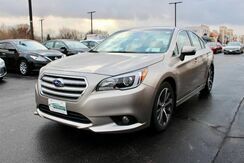 Preferred Auto Illinois Road has a wide selection of exceptional pre-owned vehicles to choose from, including this 2016 Subaru Legacy. All-wheel drive means peace of mind all the time. This Silver AWD Subaru enjoys a host of features, including exceptional acceleration and superior stability so you can drive with confidence. 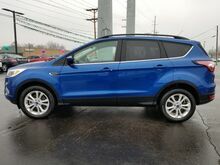 AUTOCHECK REPORTS ZERO ACCIDENTS, 1 OWNER -- HEATED LEATHER SEATS, BLUETOOTH, BACKUP CAMERA, BOSE PREMIUM AUDIO, MULTIPLE USB PORTS, OnSTAR NAVIGATION, ALUMINUM WHEELS -- STYLISH FAMILY VEHICLE! 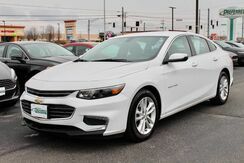 Preferred Auto Illinois Road has a wide selection of exceptional pre-owned vehicles to choose from, including this 2018 Chevrolet Malibu. Driven by many, but adored by more, the Chevrolet Malibu LT is a perfect addition to any home. Thank you for your interest in one of Preferred Auto Illinois Road's online offerings. Please continue for more information regarding this 2017 GMC Terrain SLE with 38,869mi. This SUV is a superb example of what a tough, work focused vehicle should be. Exceptional towing, acceleration and torque will help you get the job done. This vehicle has an added performance bonus: AWD. It improves handling on those winding back roads, and gives you added safety and control when driving through wet and snow weather conditions. 1 OWNER! CLEAN HISTORY REPORT! ONSTAR NAVIGATION! REAR BACK UP CAMERA! PANORAMIC MOON ROOF! HEATED AND COOLED FRONT LEATHER SEATING! DRIVER SIDE MEMORY SEAT! PUSH BUTTON START! KEYLESS ENTRY! REMOTE START! BLUETOOTH! 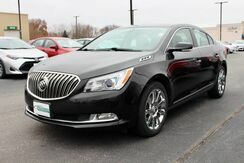 Contact Preferred Auto Illinois Road today for information on dozens of vehicles like this 2015 Buick LaCrosse Premium I. This is about the time when you're saying it is too good to be true, and let us be the one's to tell you, it is absolutely true. Driven by many, but adored by more, the Buick LaCrosse Premium I is a perfect addition to any home. There are many vehicles on the market but if you are looking for a vehicle that will perform as good as it looks then this Buick LaCrosse Premium I is the one! The 2015 Buick LaCrosse has both style and attitude, with a curvy, bold look and advanced interior design. Ride, handling and overall refinement are up to world-class standards. From behind the wheel, the LaCrosse stands on the same high ground, in terms of features and the driving experience, as many luxury-brand cars, yet costs thousands less. Base models start at just about $33,000. Interesting features of this model are good value, upscale ride and refinement, attractive, well-designed interior, powerful V6 engine available, and Attractive styling. Preferred Auto Fort Wayne State has a wide selection of exceptional pre-owned vehicles to choose from, including this 2015 Jeep Cherokee. This Jeep Cherokee Limited defines excellence in an SUV. It has the convenience of limitless boundaries paired with city sophistication. This 4WD-equipped vehicle handles any condition on- or off-road with the sure footedness of a mountain goat. 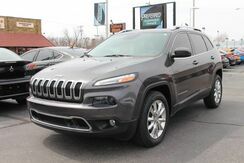 With unequaled traction and stability, you'll drive with confidence in any weather with this Silver 2015 4WD Jeep Cherokee Limited. In addition to being well-cared for, this Jeep Cherokee has very low mileage making it a rare find. The Cherokee is a compact SUV competing with vehicles such as the Toyota RAV4 and the Honda CR-V. While the Cherokee and its competitors are often offered with all-wheel-drive, the Cherokee offers more aggressive off-roading equipment, such as a locking rear differential. This model sets itself apart with roomy interior, good ground clearance, well equipped, bold styling, excellent value, and 4-wheel-drive. Check out this gently-used 2014 Lincoln MKZ we recently got in. Outstanding fuel economy and sleek styling are two great reasons to consider this Lincoln MKZ. Enjoy driving? Well, now you will get more thrills behind the wheel thanks to the heightened performance of AWD. Better handling. Better traction. Better driving experience. The MKZ is well maintained and has just 41,039mi. This low amount of miles makes this vehicle incomparable to the competition. 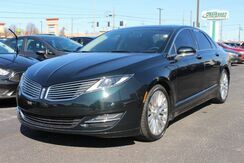 The 2014 Lincoln MKZ features aggressive looks and thoughtful interior appointments; the car does much to give younger luxury buyers plenty to think about when considering a purchase in this competitive segment. Powertrain options allow the Lincoln MKZ to deliver as much power as prospective buyers want. This model sets itself apart with standard features, quiet, comfortable cabin, available hybrid power, and fresh styling inside and out.